This is a discography of Giuseppe Verdi's last opera, Falstaff . It was first performed at La Scala, Milan, on 9 February 1893. Falstaff is a comic opera in three acts by the Italian composer Giuseppe Verdi. The libretto was adapted by Arrigo Boito from Shakespeare's The Merry Wives of Windsor and scenes from Henry IV, parts 1 and 2. The work premiered on 9 February 1893 at La Scala, Milan. Sir Thomas Beecham, 2nd Baronet, CH was an English conductor and impresario best known for his association with the London Philharmonic and the Royal Philharmonic orchestras. He was also closely associated with the Liverpool Philharmonic and Hallé orchestras. From the early 20th century until his death, Beecham was a major influence on the musical life of Britain and, according to the BBC, was Britain's first international conductor. Leonard Warren was an American opera singer. A baritone, he was a leading artist for many years with the Metropolitan Opera in New York City. Frederick Martin "Fritz" Reiner was a prominent conductor of opera and symphonic music in the twentieth century. Hungarian born and trained, he emigrated to the United States in 1922, where he rose to prominence as a conductor with several orchestras. He reached the pinnacle of his career while music director of the Chicago Symphony Orchestra in the 1950s and early 1960s. Götz Friedrich was a German opera and theatre director. The Sofiensaal is a concert hall and recording venue located in Vienna, Austria. It is situated on Marxergasse, in the city's third district of Landstraße. The building burned down on 16 August 2001, but it was rebuilt and opened once again in December 2013. Helen Jeanette Donath is an American soprano with a career spanning fifty years. Jonathan Stewart Vickers,, known professionally as Jon Vickers, was a Canadian heldentenor. 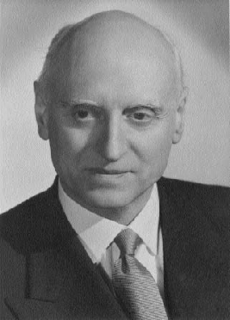 Victor de Sabata was an Italian conductor and composer. He is widely recognized as one of the most distinguished operatic conductors of the twentieth century, especially for his Verdi, Puccini and Wagner. Fedora Barbieri was an Italian mezzo-soprano. The Ravenna Festival is a summer festival of opera and classical music held in the city of Ravenna, Italy and the surrounding area each June and July. Joan Pons Álvarez, is a Spanish operatic baritone, known internationally as Juan Pons. Gianluca Cascioli is an Italian pianist, conductor, and composer. Fernando de la Mora is a Mexican operatic tenor. He began his music education in the National Conservatory of Mexico and studied with Leticia Velázquez and Rosa Rimoch. Ain Anger is an Estonian opera bass. Alexandrina Miltcheva is a Bulgarian operatic mezzo-soprano. Svetla Vassileva, born on September 9, 1965 in Dobrich, Bulgaria, is a Bulgarian opera singer, soprano. Hepokoski, James (1983). Giuseppe Verdi "Falstaff". Cambridge: Cambridge University Press. 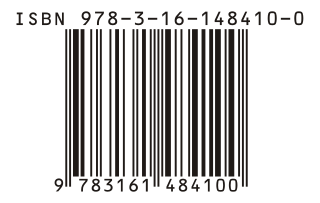 ISBN 978-0-521-23534-1.